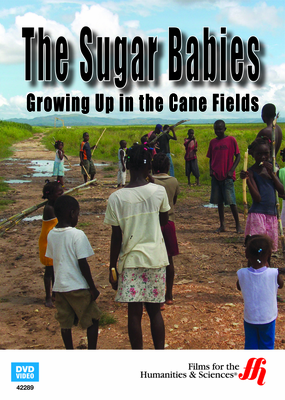 The crisis for laborers in the sugar cane industry of the Dominican Republic reaches catastrophic proportions as the plight of the innocent children of the workers is exposed as a violation of basic human rights, rampant exploitation, and child labor. Although Haiti and the Dominican Republic share the island of Hispaniola, the two countries could not be more different. Haiti is a country decimated by poverty while the Dominican Republic thrives as an in demand vacation locale and reaps the rewards of a profitable sugar cane industry. Unfortunately, the rewards of the industry are gained through the exploitation of a massive number of Haitian workers who survive in substandard living conditions after an inordinately long work day. Sadly, the children of Haitian descent, born to these workers, are not recognized as citizens of the Dominican Republic. With no birthright, they are denied the rights and protection of citizenship, and they inherit the plight of their parents. By contrast, those who profit from the sugar cane industry enjoy a luxurious lifestyle funded by the labor of Haitian workers and their children, and an unending spiral of inhuman exploitation ensues. Multiple sources support the contention that the wealth of the Dominican Republic's sugar cane industry is the result of what borders on human slavery. Understanding is elevated as testimonies from missionaries, attorneys, activists, and observers who have witnessed and fought against the injustices are reinforced by interviews of individuals who not only support, but gain, from the industry as they reveal attitudes guided by racism and prejudice.